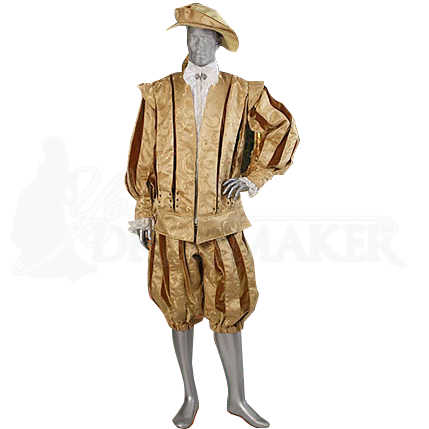 The Nobleman's Renaissance Doublet is a classic example of a stylish doublet that would have been worn by the noble class during the Renaissance era. This beautiful doublet is made from quality materials, like damask brocade and velvet. Like many doublets, this garment looks like a snug-fitting jacket designed to be worn by a man over his shirt and breeches. This doublet is made from attractive damask brocade that features a beautiful floral and vine-pattern. This particular doublet is also decorated by stripes of velvet, which add a slashed look to the doublets breast and sleeves while simultaneously adding a contrasting color. 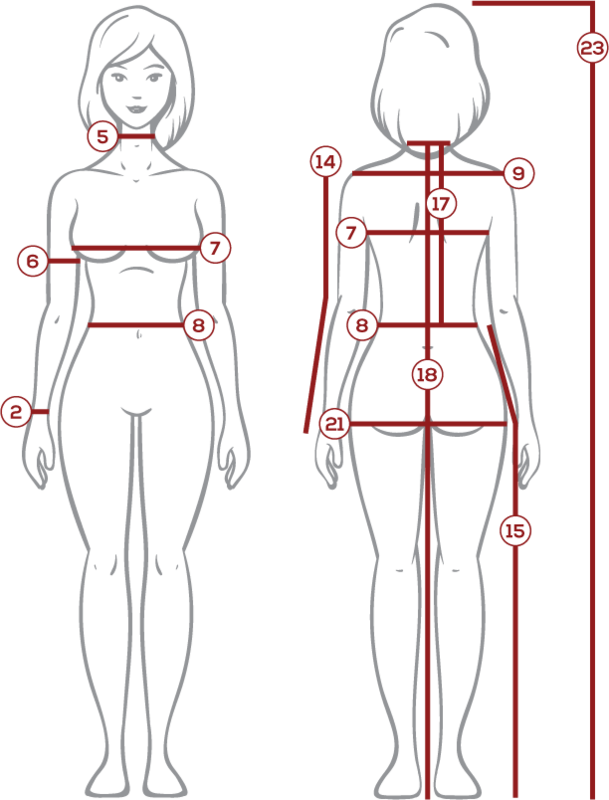 The sleeves are full-length and loose-fitted, although they are gathered at the wrist in fitted cuffs. The length of a doublet is traditionally either waist or hip length, and this doublet is hip-length, as it extends farther than just the top of the waist. This attractive doublet comes in a variety of color combinations, and does not include in the hat, shirt, or pants pictured above. The Nobleman's Renaissance Doublet is a very aptly named item. 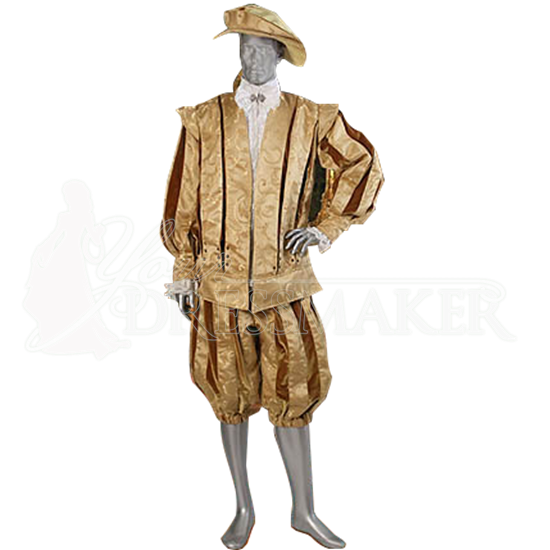 It is the perfect doublet for a renaissance nobleman to wear to any social occasion or the perfect doublet for a modern day gent to wear at his favorite renaissance fair. The first Color selection is for the main part of the doublet, the brocade fabric. The second Color is the accent color, which is for the velvet fabric that make up the slashed stripes.